Any one person who tackles the dual roles of Pro Vice-Chancellor (Research and Innovation), and Director of the University of Newcastle's Laboratory of Neuroimmunology must obviously be enamored with science, but Professor Deborah Hodgson's enthusiasm for her field of expertise appears boundless. A leading international expert in the field of fetal programming, Deb's area of focus is the role of pre-natal and early life events in the development of the brain and immune system. "Things that happen early in life, affect your trajectory towards health or disease later in life," she explains. "It seems like we are stating the obvious, but such a focus is critical in rethinking the origins of disease". Deb is leading a number of studies that are exploring how perinatal stress may lead to adverse physiological and psychological health outcomes. "Mothers are essentially a sense organ for their child," Deb states. "Pregnancy prepares the offspring for what it is going to experience when it is born, and behavioural, physiological and psychological adaptations are about ensuring survival." "In most cases those adaptations are of benefit to the offspring, but in some cases they are not." For as long as she can remember Deb has been fascinated by science and in particular medicine. "I was one of the nerdy kids that loved biology and would read surgical texts for relaxation," she laughs. 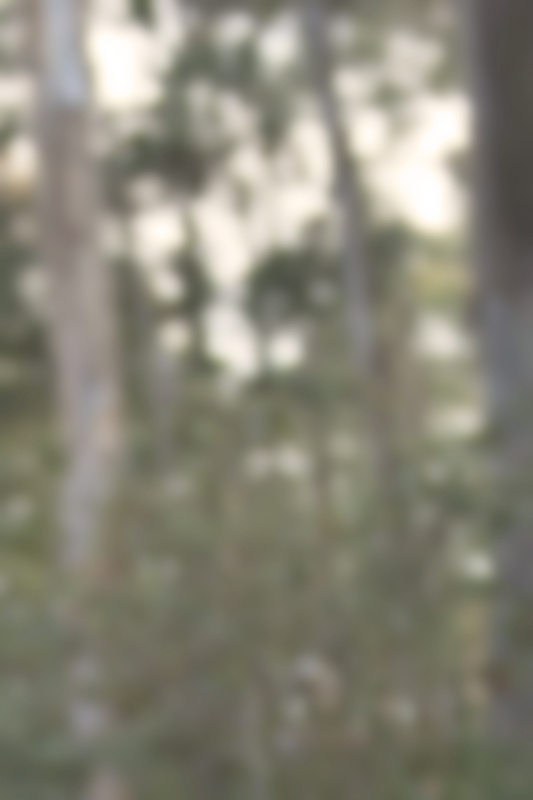 This preoccupation led Deb to commence the undergraduate medical training program at UNSW. However the reality of medicine was not as she had imagined. A fascination with research and in particular neuroscience shifted her focus to study psychology, particularly the psychology of pain, at Macquarie University. During her PhD studies in neuroscience, Deb studied a phenomenon called stress- induced analgesia. "Using animal models, we showed that the more unpredictable or uncontrollable an event is, the more aversive it is, and the more aversive the event, the more analgesic the animal would become," she explains. It was during her doctoral studies that Deb began to consider more deeply two concepts raised by her study: that psychology affects perception of pain, and that pain impacts on our susceptibility and response to illness. She resolved to learn more about interactions between the brain and the immune system. Determined to learn from the best, Deb applied to UCLA (University of California, Los Angeles) in 1993. UCLA was renowned as the emerging centre for the study of psychoneuroimmunology, a field which studies the interaction between the brain and the immune system and connects illness, stress, and mood. Dedicating her studies to this emerging field, Deb was awarded the esteemed Post Doctoral Norman Cousins Fellowship. "It was a very prestigious program, and I had some fantastic mentors there," she recalls. "It was very exciting to be part of what was a very new field at that stage, and to be working with great minds that were pushing boundaries." 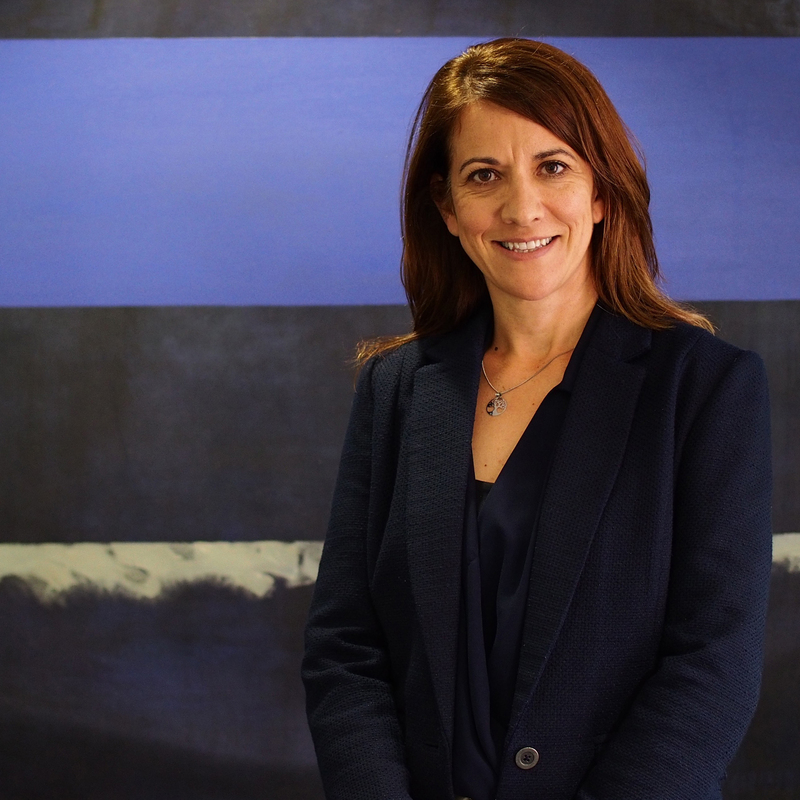 Returning to Australia in 1998, Deb commenced employment at the University of Newcastle. Her research focused on the fetal alcohol syndrome work which she had been working on with a mentor in the latter stages of her UCLA Fellowship. "I guess that sparked my interest in what I do now, and I have done it ever since," she contemplates. "Since 1993, I have been attempting to understand how our early life environment plays a critical role in our predisposition to disease." The compulsion to help people who shaped her early career is still strong in Deb, as she not only supervises lab work, but also spends time sharing her expertise with clinicians, medical practitioners and community groups who have heard about the field of fetal programming. "The impact of the early life environment is particularly important in countries where poor maternal health is often encountered," Deb explains. Her work has been translated into research projects in Sri Lanka and The Maldives where attempts have been made to improve maternal outcomes through an improved understanding of the impact of the early environment on long term health outcomes. "I like the fact that our research makes a difference. What we are doing really does translate and can potentially explain certain phenomena we observe in human populations." "A source of constant amazement is the capacity for resilience and adaptation evident in the human phenotype," she adds. The field of fetal programming has already changed the way medicine views the relativity of a patient's history. Medical practitioners have discovered that enquiring about early life health and experience may provide invaluable perspective on possible future health challenges. Designing pharmaceutical interventions that target specific receptors in the brain which may be malfunctioning due to the impact of early life stressors is one possible outcome from research in this field. More immediate intervention may come in the form of educating parents and medical practitioners regarding behavioural interventions, which may lessen the probability of a child developing a disease, despite a predisposition. Deb provides an example with respect to pain management. "A current dilemma in pain research is understanding why some individuals following trauma, recover quickly with no residual and pain, whilst others with the same injury develop chronic pain syndromes." "A research program that two of my PhD students have been working on has demonstrated that perceptions of pain are altered by exposure to early life stress," she shares. "This exposure alters a number of basic pain and neuroendocrine pathways. We are now able to suggest that in some cases a predisposition toward chronic pain following acute trauma may be dependent, at least in part, on experiences in early life." "Given that the physiology of chronic pain versus acute pain differs, this information allows us to more readily develop strategies to manage pain appropriately." Deb is passionate about research in this field informing future directions in public health. "The only way we are going to change health trajectories is by understanding the basic determinants of disease processes. And, in some cases those determinants are happening pre-birth," she discloses. The burning curiosity that drives Deb forward is never more evident than when asked about upcoming collaborations, directions and projects. She is excited to be involved in any work that increases her understanding of the brain, speaking with equal enthusiasm about a PhD study in the UON lab or an international collaboration. "Obviously because the brain regulates so many different systems we can look at many different outcomes; we've looked at how the early life environment impacts our responses to pain, potential links to psychopathology and disruptions to glucose metabolism, …" she lists. Another study, assessing the role of the early life environment and in particular, exposure to viruses on the gut, also has Deb's attention. "There is a lot of current research focusing on the relationship between mood disorders and diet which needs to be evaluated," she says. This focus on how food allergies and dietary related phenomenon affect mood perfectly targets her area of expertise, the intersection of illness, brain, and behaviour. "Your gut produces cytokines, and cytokines enter your brain, affecting mood, appetite, sleep, perceptions of pain plus much more," clarifies. "So, we've gone from the brain/behaviour axis to the gut/brain axis." "The gut/brain axis is one of our major future areas of focus," she predicts. 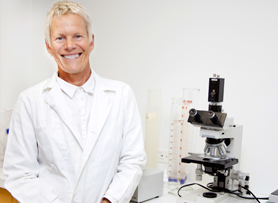 Professor Hodgson is a highly respected Neuroimmunologist whose research has made significant contributions in the field of fetal programming. During her research career, Professor Hodgson has published in excess of 90 refereed journal papers and two books, and has facilitated major international collaborations with partners in the USA, Canada, Israel, New Zealand, Sri Lanka, the Netherlands and the UK. In addition to her role as Pro Vice-Chancellor (Research and Innovation), Professor Hodgson is also Director of UON’s Laboratory of Neuroimmunology. As Pro Vice-Chancellor (Research and Innovation), Professor Hodgson has been instrumental in improving research and research training opportunities and support at the University. She has provided strong leadership in driving the University’s research and innovation agenda with a particular focus on engagement with industry, business and our stakeholder community. Professor Hodgson’s work has supported enhanced entrepreneurial activity and research commercialisation at the University. Professor Hodgson has substantial expertise in working with all levels of government and relevant national and international agencies across the sector. 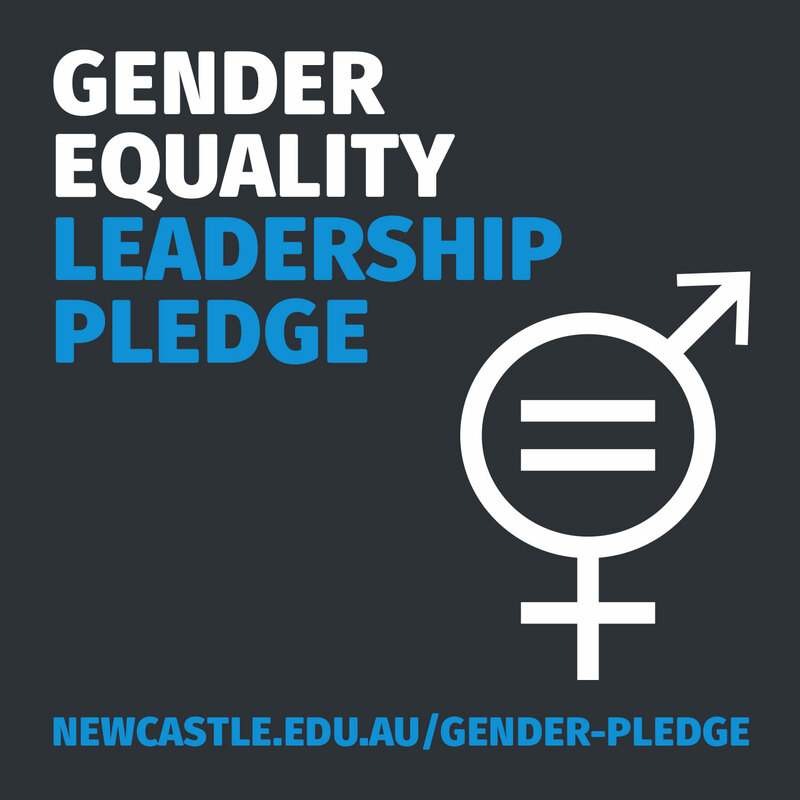 She has built an excellent network of industry and academic partners, and is a highly respected senior leader across UON and the sector. Role of early life events in neuroendocrine and immune development, Characterisation of communication pathways between the brain and the immune system. 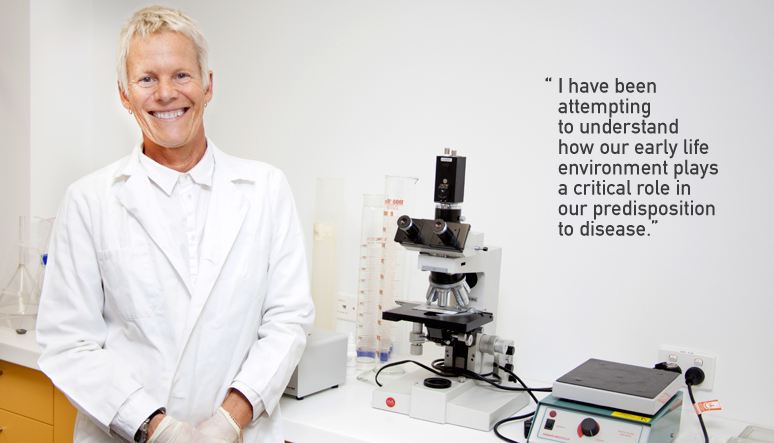 Professor Hodgson is involved in international and national collaborations. At an international level, she is investigating the imapct of earlylife events on disease susceptibility with Professor. Chris Coe (University of Wisconsin), Professor Gayle Page (John Hopkins University, USA) Professor Yehuda Shavit (Hebrew University Israel), and Dr Mark Vickers (Liggins institute, NZ). At a national level Professor Hodgson is investigating the predisposition towards psychiatric disorders following prenatal stress in collaboration with Professor Pat Mitchie (University of Newcastle) and Dr Katerina Zavitsano (ANSTO), and programming of fertility with Associate Professor Stephen Kent (La Trobe University), Professor Vicki Clifton (Univ of Adelaide) and Drs Charles Allen (Sydney University) and Kate Loveland (Monash University). © 2019 Elsevier Ltd Converging lines of evidence suggest that the relationship between the gut and the brain is a factor in the onset of psychopathology. The complexity of this relationship from development to adulthood, and its central roles in general health and wellbeing, are becoming increasingly appreciated. In particular, the composition of bacteria within the gut is now believed to have a key role in mental health. We outline recent literature on alterations in the gut microbiome in response to stress throughout development. We review how these alterations can lead to perturbations in immune responses and to psychiatric disorders, and we discuss current methods of altering the microbiome to treat these disorders. This review aims to provide a better understanding of the relationship between stress, the microbiome, immune responses and psychopathology. © 2017 Elsevier B.V. One of the most robust electrophysiological features of schizophrenia is reduced mismatch negativity, a component of the event related potential (ERP) induced by rare and unexpected stimuli in an otherwise regular pattern. Emerging evidence suggests that mismatch negativity (MMN) is not the only ERP index of deviance detection in the mammalian brain and that sensitivity to deviant sounds in a regular background can be observed at earlier latencies in both the human and rodent brain. Pharmacological studies in humans and rodents have previously found that MMN reductions similar to those seen in schizophrenia can be elicited by N-methyl-D-aspartate (NMDA) receptor antagonism, an observation in agreement with the hypothesised role of NMDA receptor hypofunction in schizophrenia pathogenesis. However, it is not known how NMDA receptor antagonism affects early deviance detection responses. Here, we show that NMDA antagonism impacts both early and late deviance detection responses. By recording EEG in awake, freely-moving rats in a drug-free condition and after varying doses of NMDA receptor antagonist MK-801, we found the hypothesised reduction of deviance detection for a late, negative potential (N55). However, the amplitude of an early component, P13, as well as deviance detection evident in the same component, were increased by NMDA receptor antagonism. These findings indicate that late deviance detection in rats is similar to human MMN, but the surprising effect of MK-801 in increasing ERP amplitudes as well as deviance detection at earlier latencies suggests that future studies in humans should examine ERPs over early latencies in schizophrenia and after NMDA antagonism. © 2018 Animal models of maternal immune activation study the effects of infection, an environmental risk factor for schizophrenia, on brain development. Microglia activation and cytokine upregulation may have key roles in schizophrenia neuropathology. We hypothesised that maternal immune activation induces changes in microglia and cytokines in the brains of the adult offspring. Maternal immune activation was induced by injecting polyriboinosinic:polyribocytidylic acid into pregnant rats on gestational day (GD) 10 or GD19, with brain tissue collected from the offspring at adulthood. We observed no change in Iba1, Gfap, IL1-ß and TNF-a mRNA levels in the cingulate cortex (CC) in adult offspring exposed to maternal immune activation. Prenatal exposure to immune activation had a significant main effect on microglial IBA1-positive immunoreactive material (IBA1+IRM) in the corpus callosum; post-hoc analyses identified a significant increase in GD19 offspring, but not GD10. No change in was observed in the CC. In contrast, maternal immune activation had a significant main effect on GFAP+IRM in the CC at GD19 (not GD10); post-hoc analyses only identified a strong trend towards increased GFAP+IRM in the GD19 offspring, with no white matter changes. This suggests late gestation maternal immune activation causes subtle alterations to microglia and astrocytes in the adult offspring. Copyright © 2018 the American Physiological Society. All rights reserved. Existing evidence suggests that cybersickness may be clinically different from ¿classic,¿ motion-induced sickness; this evidence was, however, obtained in separate studies that focused on just one of the two conditions. Our aim was to bring clarity to this issue by directly comparing subjective symptoms and physiological effects of motion sickness induced by physical motion (Coriolis cross-coupling) and by immersion in virtual reality (ride on a roller coaster) in the same subjects. A cohort of 30 young, healthy volunteers was exposed to both stimulations in a counterbalanced order on 2 separate days =1 wk apart. Nausea scores were recorded during the exposure, and the Motion Sickness Assessment Questionnaire (MSAQ) was used to profile subjective symptoms postexperiment. Tonic and phasic forehead skin conductance level (SCL) was measured before and during exposure in both stimulation methods. We found that the nausea onset times were significantly correlated in both tests (r 0.40, P 0.03). Similarly, the maximum nausea ratings were significantly correlated during both provocations (r 0.58, P 0.0012). Symptom-profiling with the MSAQ revealed substantial and significant correlations between total symptom scores (r 0.69, P < 0.0001) between each of 4 symptom clusters and between 15/18 individual symptoms assessed in both conditions. Both virtual reality and Coriolis cross-coupling provocations caused an increase in tonic SCL associated with nausea [mean difference (mean diff) 5.1, confidence interval (CI) (2.59, 6.97), P 0.007 and mean diff 1.49, CI (0.47, 7.08), P 0.0001, respectively], with a close correlation between the conditions (r 0.48, P 0.04). This was accompanied by a significant increase in the amplitude of phasic skin conductance transients in both visual stimulation and Coriolis cross-coupling when participants reported maximum nausea compared with no nausea [mean diff 0.27, CI (0.091, 0.63), P < 0.001 and mean diff 0.235, CI (0.053, 0.851), P < 0.006, respectively]. We conclude that symptoms and physiological changes occurring during cybersickness and classic motion sickness are quite similar, at least during advanced stages of these malaises. © 2017 There is a rapidly accumulating body of evidence regarding the influential role of early life stress (ELS) upon medical and psychiatric conditions. While self-report instruments, with their intrinsic limitations of recall, remain the primary means of detecting ELS in humans, biological measures are generally limited to a single biological system. This paper describes the design, rationale and feasibility of a study to simultaneously measure neuroendocrine, immune and autonomic nervous system (ANS) responses to psychological and physiological stressors in relation to ELS. Five healthy university students were recruited by advertisement. Exclusion criteria included chronic medical conditions, psychotic disorders, needle phobia, inability to tolerate pain, and those using anti-inflammatory medications. They were clinically interviewed and physiological recordings made over a two-hour period pre, during and post two acute stressors: the cold pressor test and recalling a distressing memory. The Childhood Trauma Questionnaire and the Parental Bonding Index were utilised to measure ELS. Other psychological measures of mood and personality were also administered. Measurements of heart rate, blood pressure, respiratory rate, skin conductance, skin blood flow and temporal plasma samples were successfully obtained before, during and after acute stress. Participants reported the extensive psychological and multisystem physiological data collection and stress provocations were tolerable. Most (4/5) participants indicated a willingness to return to repeat the protocol, indicating acceptability. Our protocol is viable and safe in young physically healthy adults and allows us to assess simultaneously neuroendocrine, immune and autonomic nervous system responses to stressors in persons assessed for ELS. © 2016 Maternal exposure to infectious agents during gestation has been identified as a significant risk factor for schizophrenia. Using a mouse model, past work has demonstrated that the gestational timing of the immune-activating event can impact the behavioural phenotype and expression of dopaminergic and glutamatergic neurotransmission markers in the offspring. In order to determine the inter-species generality of this effect to rats, another commonly used model species, the current study investigated the impact of a viral mimetic Poly (I:C) at either an early (gestational day 10) or late (gestational day 19) time-point on schizophrenia-related behaviour and neurotransmitter receptor expression in rat offspring. Exposure to Poly (I:C) in late, but not early, gestation resulted in transient impairments in working memory. In addition, male rats exposed to maternal immune activation (MIA) in either early or late gestation exhibited sensorimotor gating deficits. Conversely, neither early nor late MIA exposure altered locomotor responses to MK-801 or amphetamine. In addition, increased dopamine 1 receptor mRNA levels were found in the nucleus accumbens of male rats exposed to early gestational MIA. The findings from this study diverge somewhat from previous findings in mice with MIA exposure, which were often found to exhibit a more comprehensive spectrum of schizophrenia-like phenotypes in both males and females, indicating potential differences in the neurodevelopmental vulnerability to MIA exposure in the rat with regards to schizophrenia related changes. © 2017 Federation of European Neuroscience Societies and John Wiley & Sons Ltd Altered motivated behaviour is a cardinal feature of several neuropsychiatric conditions including mood disorders. One well-characterized antecedent to the development of mood disorders is exposure to early life stress (ELS). A key brain substrate controlling motivated behaviour is the lateral hypothalamus (LH). Here, we examined the effect of ELS on LH activation and the motivation to self-administer sucrose. We tested whether chemogenetic activation of LH circuits could modify sucrose responding in ELS rats and examined the impact on LH cell populations. Male rat pups were maternally separated for 0 or 3¿h on postnatal days 2¿14. During adolescence, rats received bilateral injections of hM3D(Gq), the excitatory designer receptor exclusively activated by designer drugs, into LH. In adulthood, rats were trained to self-administer sucrose and tested under a progressive ratio schedule to determine their motivation for reward following injection with either vehicle or 5¿mg/kg clozapine-N-oxide. Brains were processed for Fos-protein immunohistochemistry. ELS significantly suppressed lever responding for sucrose, indicating a long-lasting impact of ELS on motivation circuits. hM3D(Gq) activation of LH increased responding, normalizing deficits in ELS rats, and increased Fos-positive orexin and MCH cell numbers within LH. Our findings indicate that despite being susceptible to environmental stressors, LH circuits retain the capacity to overcome ELS-induced deficits in motivated behaviour. © 2017 The Author(s). The aging process is driven at the cellular level by random molecular damage that slowly accumulates with age. Although cells possess mechanisms to repair or remove damage, they are not 100% efficient and their efficiency declines with age. There are many molecular mechanisms involved and exogenous factors such as stress also contribute to the aging process. The complexity of the aging process has stimulated the use of computational modelling in order to increase our understanding of the system, test hypotheses and make testable predictions. As many different mechanisms are involved, a wide range of models have been developed. This paper gives an overview of the types of models that have been developed, the range of tools used, modelling standards and discusses many specific examples of models that have been grouped according to the main mechanisms that they address. We conclude by discussing the opportunities and challenges for future modelling in this field. © 2015. Interstitial neurons are located among white matter tracts of the human and rodent brain. Post-mortem studies have identified increased interstitial white matter neuron (IWMN) density in the fibre tracts below the cortex in people with schizophrenia. The current study assesses IWMN pathology in a model of maternal immune activation (MIA); a risk factor for schizophrenia. Experimental MIA was produced by an injection of polyinosinic:polycytidylic acid (PolyI:C) into pregnant rats on gestational day (GD) 10 or GD19. A separate control group received saline injections. The density of neuronal nuclear antigen (NeuN<sup>+</sup>) and somatostatin (SST<sup>+</sup>) IWMNs was determined in the white matter of the corpus callosum in two rostrocaudally adjacent areas in the 12week old offspring of GD10 (n=10) or GD19 polyI:C dams (n=18) compared to controls (n=20). NeuN<sup>+</sup> IWMN density trended to be higher in offspring from dams exposed to polyI:C at GD19, but not GD10. A subpopulation of these NeuN<sup>+</sup> IWMNs was shown to express SST. PolyI:C treatment of dams induced a significant increase in the density of SST<sup>+</sup> IWMNs in the offspring when delivered at both gestational stages with more regionally widespread effects observed at GD19. A positive correlation was observed between NeuN<sup>+</sup> and SST<sup>+</sup> IWMN density in animals exposed to polyI:C at GD19, but not controls. This is the first study to show that MIA increases IWMN density in adult offspring in a similar manner to that seen in the brain in schizophrenia. This suggests the MIA model will be useful in future studies aimed at probing the relationship between IWMNs and schizophrenia. © 2014 Wageningen Academic Publishers. Alterations in immune responses and intestinal secretory state are among features commonly observed in the maternal separation (MS) rat model of Irritable Bowel Syndrome. This study examined whether perinatal maternal introduction of probiotics influences plasma immune markers and ileal mucin-2 (MUC2) gene expression in rat offspring exposed to neonatal maternal separation (MS, 3 h/day, postnatal days (PND) 2-14) and/or subsequently to acute restraint stress in adulthood (AS, 30 min/day, PND 83-85). Data analysis indicated that stress protocols did not affect plasma tumour necrosis factor alpha (TNF-a), interferon gamma (IFN-¿) and interleukin (IL)-6 levels in young offspring (PND 24) born to the vehicle-treated dams. Maternal probiotic intervention was associated with significantly decreased IFN-¿ levels in young offspring compared with non-probiotic offspring (P=0.05). It also induced a significant increase in IL-6 levels in MS pups (P=0.05). Exposure of both non-MS and MS offspring to AS induced a significant increase in haptoglobin levels compared to controls (P=0.05), whereas all offspring born to the probiotic-treated dams, irrespective of stress treatment conditions, exhibited significantly decreased haptoglobin levels to well below the control levels (P=0.05). MS and/or AS did not affect ileal expression of MUC2 in offspring born to the non-probiotic treated dams. While maternal probiotic intake significantly downregulated ileal gene expression of MUC2 in MS male young offspring, it was associated with significantly upregulated MUC2 mRNA expression in MS or AS adult male offspring. These findings suggest that maternal probiotic intervention may exert long-lasting anti-inflammatory effects and impact gut outcomes in offspring at increased risk of dysfunctional gut. © 2015 Hogrefe Publishing. Both disgust and disease-related images appear able to induce an innate immune response but it is unclear whether these effects are independent or rely upon a common shared factor (e.g., disgust or disease-related cognitions). In this study we directly compared these two inductions using specifically generated sets of images. One set was disease-related but evoked little disgust, while the other set was disgust evoking but with less disease-relatedness. These two image sets were then compared to a third set, a negative control condition. Using a wholly within-subject design, participants viewed one image set per week, and provided saliva samples, before and after each viewing occasion, which were later analyzed for innate immune markers. We found that both the disease related and disgust images, relative to the negative control images, were not able to generate an innate immune response. However, secondary analyses revealed innate immune responses in participants with greater propensity to feel disgust following exposure to disease-related and disgusting images. These findings suggest that disgust images relatively free of disease-related themes, and disease-related images relatively free of disgust may be suboptimal cues for generating an innate immune response. Not only may this explain why disgust propensity mediates these effects, it may also imply a common pathway. © 2015 Campbell, Watters, Zouikr, Hodgson and Dayas. Exposure to early life physiological stressors, such as infection, is thought to contribute to the onset of psychopathology in adulthood. In animal models, injections of the bacterial immune challenge, lipopolysaccharide (LPS), during the neonatal period has been shown to alter both neuroendocrine function and behavioural pain responses in adulthood. Interestingly, recent evidence suggests a role for the lateral hypothalamic peptide orexin in stress and nociceptive processing. However, whether neonatal LPS exposure affects the reactivity of the orexin system to formalin-induced inflammatory pain in later life remains to be determined. Male Wistar rats (n=13) were exposed to either LPS or saline (0.05mg/kg, i.p) on postnatal days (PND) 3 and 5. On PND 80-97, all rats were exposed to a subcutaneous hindpaw injection of 2.25% formalin. Following behavioural testing, animals were perfused and brains processed for Fos-protein and orexin immunohistochemistry. Rats treated with LPS during the neonatal period exhibited decreased licking behaviours during the interphase of the formalin test, the period typically associated with the active inhibition of pain, and increased grooming responses to formalin in adulthood. Interestingly, these behavioural changes were accompanied by an increase in the percentage of Fos-positive orexin cells in the dorsomedial and perifornical hypothalamus in LPS-exposed animals. Similar increases in Fos-protein were also observed in stress and pain sensitive brain regions that receive orexinergic inputs. These findings highlight a potential role for orexin in the behavioural responses to pain and provide further evidence that early life stress can prime the circuitry responsible for these responses in adulthood. © 2014 Harms et al. Mismatch negativity (MMN) is a scalp-recorded electrical potential that occurs in humans in response to an auditory stimulus that defies previously established patterns of regularity. MMN amplitude is reduced in people with schizophrenia. In this study, we aimed to develop a robust and replicable rat model of MMN, as a platform for a more thorough understanding of the neurobiology underlying MMN. One of the major concerns for animal models of MMN is whether the rodent brain is capable of producing a human-like MMN, which is not a consequence of neural adaptation to repetitive stimuli. We therefore tested several methods that have been used to control for adaptation and differential exogenous responses to stimuli within the oddball paradigm. Epidural electroencephalographic electrodes were surgically implanted over different cortical locations in adult rats. Encephalographic data were recorded using wireless telemetry while the freely-moving rats were presented with auditory oddball stimuli to assess mismatch responses. Three control sequences were utilized: the flip-flop control was used to control for differential responses to the physical characteristics of standards and deviants; the many standards control was used to control for differential adaptation, as was the cascade control. Both adaptation and adaptation-independent deviance detection were observed for high frequency (pitch), but not low frequency deviants. In addition, the many standards control method was found to be the optimal method for observing both adaptation effects and adaptation-independent mismatch responses in rats. Inconclusive results arose from the cascade control design as it is not yet clear whether rats can encode the complex pattern present in the control sequence. These data contribute to a growing body of evidence supporting the hypothesis that rat brain is indeed capable of exhibiting human-like MMN, and that the rat model is a viable platform for the further investigation of the MMN and its associated neurobiology. Animal and human studies have demonstrated that early pain experiences can produce alterations in the nociceptive systems later in life including increased sensitivity to mechanical, thermal, and chemical stimuli. However, less is known about the impact of neonatal immune challenge on future responses to noxious stimuli and the reactivity of neural substrates involved in analgesia. Here we demonstrate that rats exposed to Lipopolysaccharide (LPS; 0.05 mg/kg IP, Salmonella enteritidis) during postnatal day (PND) 3 and 5 displayed enhanced formalin-induced flinching but not licking following formalin injection at PND 22. This LPS-induced hyperalgesia was accompanied by distinct recruitment of supraspinal regions involved in analgesia as indicated by significantly attenuated Fos-protein induction in the rostral dorsal periaqueductal grey (DPAG) as well as rostral and caudal axes of the ventrolateral PAG (VLPAG). Formalin injections were associated with increased Fos-protein labelling in lateral habenula (LHb) as compared to medial habenula (MHb), however the intensity of this labelling did not differ as a result of neonatal immune challenge. These data highlight the importance of neonatal immune priming in programming inflammatory pain sensitivity later in development and highlight the PAG as a possible mediator of this process. © 2014 Zouikr et al. An experiment was carried out to investigate the effects of control of food delivery, in food-deprived rats, on analgesia. Tail flick latencywas used as an index of pain sensitivity and naloxone reversibility of analgesia was used as the criterion for opioid involvement. Food-deprived rats were submitted to one of two schedules of food delivery. The &apos;contingent&apos; group could control the delivery of food by lever-pressing. The &apos;non-contingent&apos; group received the same number of food pellets but delivery of food was independent of lever-pressing behaviour. Animals in the &apos;control&apos; group were placed in the test chamber but did not receive any pellets. Subjects were tested on 6 consecutive days, each test session,being of 10 min duration. Half of the animals in each group received an intraperitoneal injection of saline (0.5 ml) prior to each test session, the other half received an intraperitoneal injection of naloxone (5 mg/kg in 0.5 ml saline) prior to each session. Both contingent and non-contingent food delivery resulted in a significant post-test analgesia. The analgesia was noticeably greater when food delivery was non-contingent and this analgesia was reversible by naloxone. The findings suggest that non-contingent food delivery, in food-deprived rats, elicits an opioid analgesia, whilst contingent food delivery elicits a non-opioid analgesia. © 1991 Elsevier Science Publishers B.V. All rights reserved. Of 30 agoraphobic married women undertaking home-based behaviour therapy, 15 each had a female friend as co-therapist and 15 had their own husband as co-therapist. At 12 months follow-up, women spent a mean of approximately 40 minutes a day more outside the home alone than at baseline. Women assisted by female friends made somewhat more behavioural gains than those assisted by husbands. Women in both groups whose husbands had been more depressed 2 months after the beginning of therapy did less well at 6 months. Husbands who become more depressed may retard their wives&apos; progress in therapy, but the effect was small, and was outweighed by other considerations.